This guide will show you how to install the Multicraft control panel and server daemon on CentOS 6. 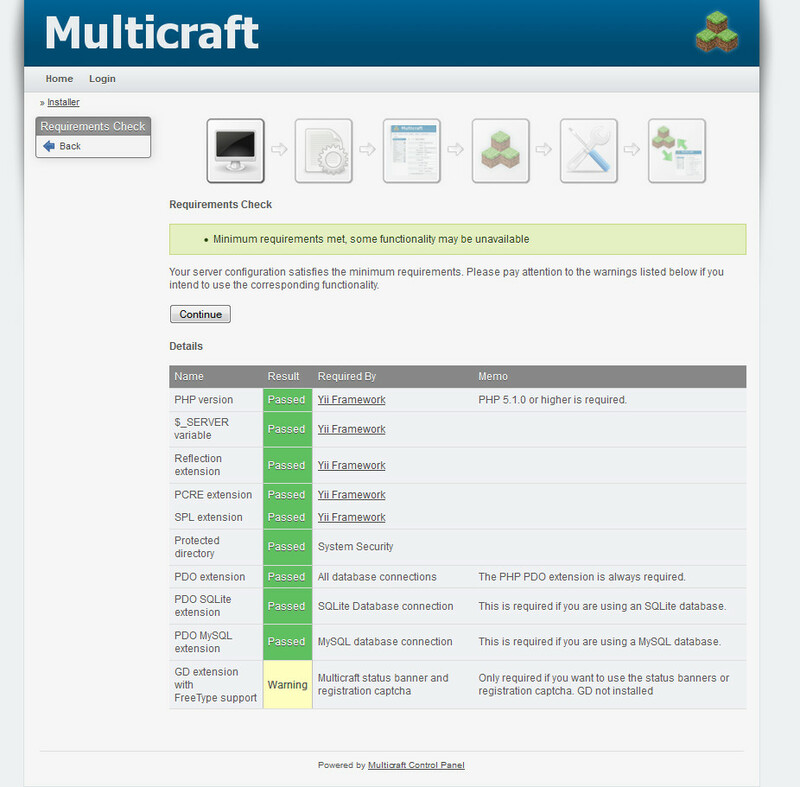 Multicraft is a Minecraft server control panel which lets you manage your game servers, resource allocations, and more. Multicraft requires a web server to run on, so we recommend you read our LAMP installation guide for CentOS 6 to setup Apache web server mainly, as it'll help you in the future when managing the server. First lets run a yum update to make sure all of our already installed packages are up to date. 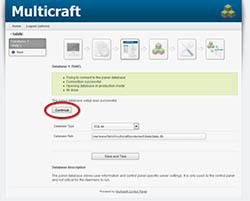 Now lets go ahead and download the Multicraft files from their website. If you don't have 'wget' installed, install it with 'yum install wget'. Extract the .tar.gz archive that we just downloaded, and delete the archived file. 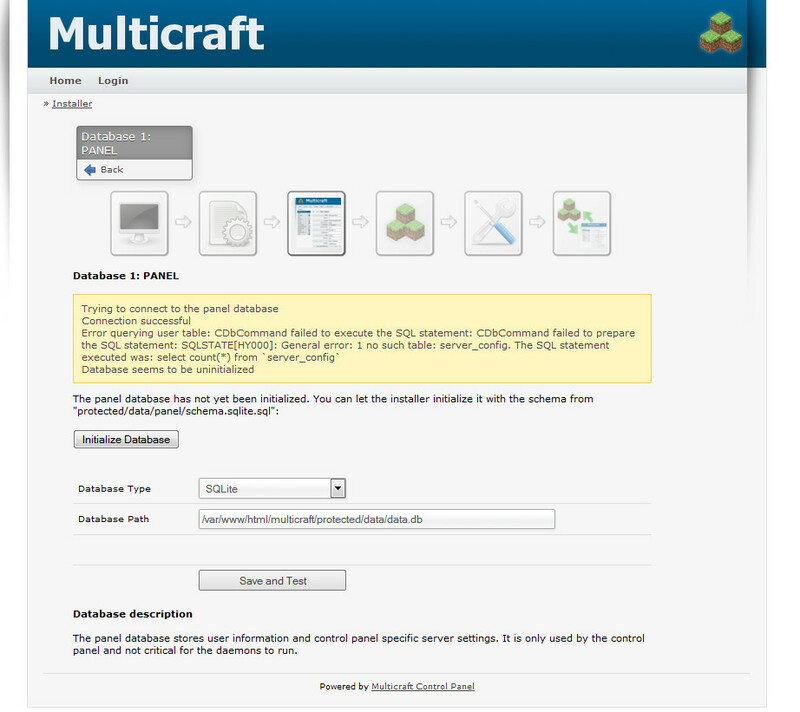 Enter the multicraft directory that we just extracted. Lets run the installer script, setup.sh, that's inside the multicraft directory now. Once you've run the installer script you'll be asked to set a few options, we'll list them in order for you. 1.) You'll be asked whether you want each Minecraft server to run under its own system user. It's always best to set this to y (yes). Running all servers under root will open many vulnerabilities. Type "y" and pesss enter for yes. 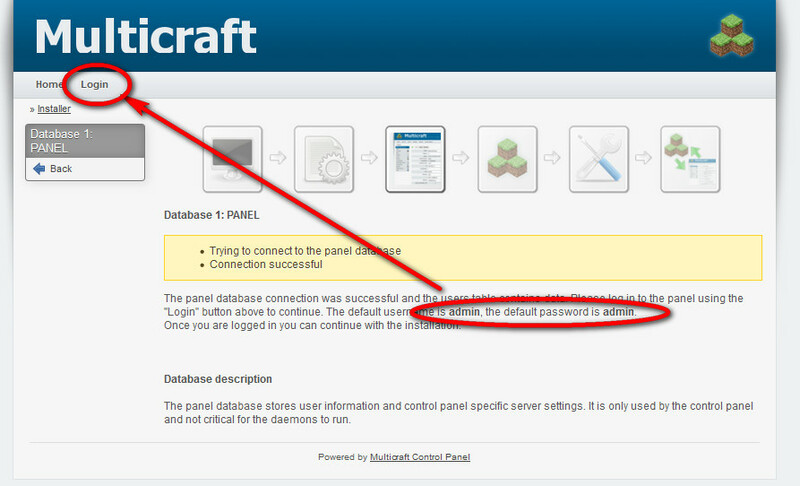 Next it will ask you what user you want Multicraft to run under, leave this as the default, which is "minecraft". It'll then ask you to create the user on the system, type "y" and press enter for yes. 2.) Next it will ask you what directory you want to install Multicraft in. Lets leave this as the default, which is "/home/minecraft/multicraft". Press enter to enter the default setting. 3.) Next it will ask you if you have a Multicraft license key. If not, leave this blank, if so, enter the digits of your license key (including the dashes) in this and press enter. 4.) Next you'll be asked what you want the Multicraft daemon ID to be. If you're running only a single server node, you can leave this as the default which is 1. If you're running multiple daemon on multiple server nodes, you'll need to set different IDs for each daemon to link them to a single Multicraft panel. 5.) Now you'll be asked three different questions. First if you want the PHP (control panel) frontend to be ran on this server. Enter "y" for yes since we'll be using the control panel on this server. Next it'll ask for your web server system user, you can leave this as the default which is 'apache' user, press enter. 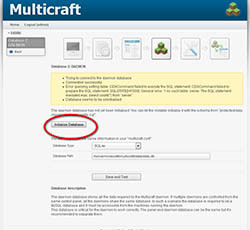 Now set the location of the frontend (control panel), if you used our LAMP setup guide to setup a web server, the default setting here (/var/www/html/multicraft) will be fine, so press enter. 6.) Now we'll be asked about the built in FTP server for Multicraft. For the first option to enable the built in FTP server, leave it as "y" for yes and press enter. Next you'll need to set the FTP server IP and port, by default these settings should be your external/static server IP address and port 21, so press enter on these options for yes. Lastly on this it will ask if you want to block the uploading of .jar files to the Minecraft servers. If you want to block the usage of custom server .jar files, set this to yes, if you want to be able to freely upload any server or plugin .jar files, set this to "n" for no and press enter. We recommend setting this last option to no. 7.) Now we'll need to specify a database type. By default there is sqlite and mysql. 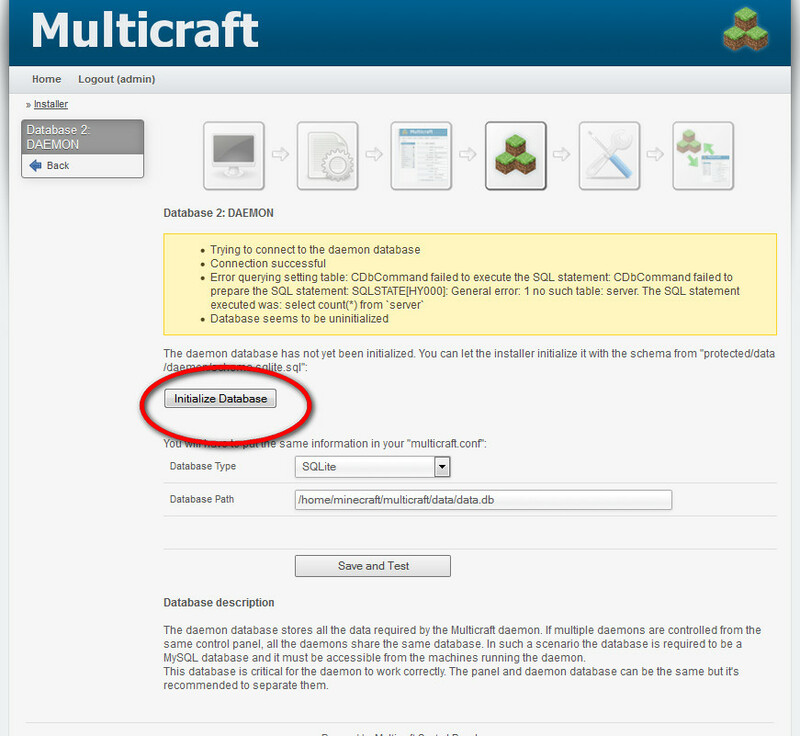 If you're running a single server node and hosting the panel on the same server as the Multicraft daemon, then we can use sqlite. If you're hosting multiple server nodes you'll need to chose mysql and later on set your mysql details in the configuration. Lets chose sqlite since this guide is based around first use for single server users. Press enter with sqlite. 8.) Next it'll check if Java, Zip, and Unzip packages are installed on your system. If they're not we can simply set paths for them and install them later. Leave all three fields as the default path and press enter. 9.) 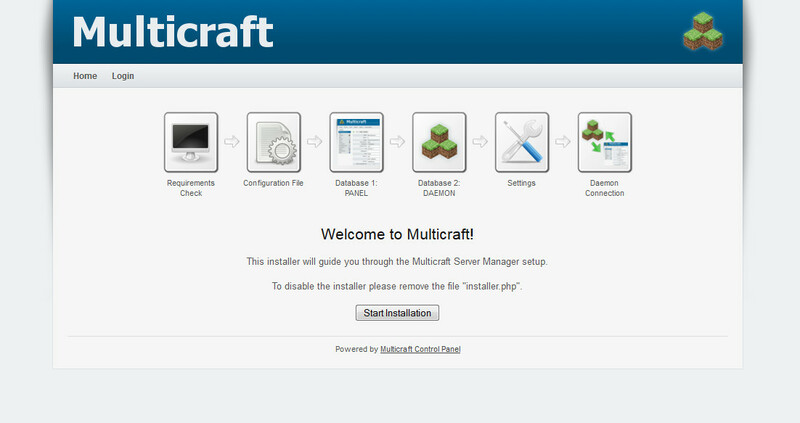 Now we'll be asked if we want to start the Multicraft installation. Press "y" and enter to start. This should only take a few seconds to complete. NOTE: Any running daemon will be stopped! The daemon WILL NOT work correctly as long as the database hasn't been initialized. After reading the instructions above, press [Enter] to continue. Press enter once, then it will ask you if you want to save the entered settings, press enter for yes. 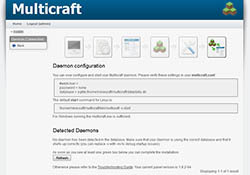 Above it'll give you the command to start the Multicraft daemon (check the bold text above), we'll need this to start the daemon later once we're completing the install in the control panel. Now lets install the missing packages that weren't installed when we did the setup. We need unzip, zip, and java installed. Run the commands above, the first will install zip and unzip, the second two will download and install Java 8 JRE 64-bit. Now we can open our web browser and continue installation through the control panel! Open your browser and navigate to http://your_server_ip/multicraft, replace "your_server_ip" with your dedicated server or vps external IP address. In this guide we'll use "12.34.56.78" as our example IP address. 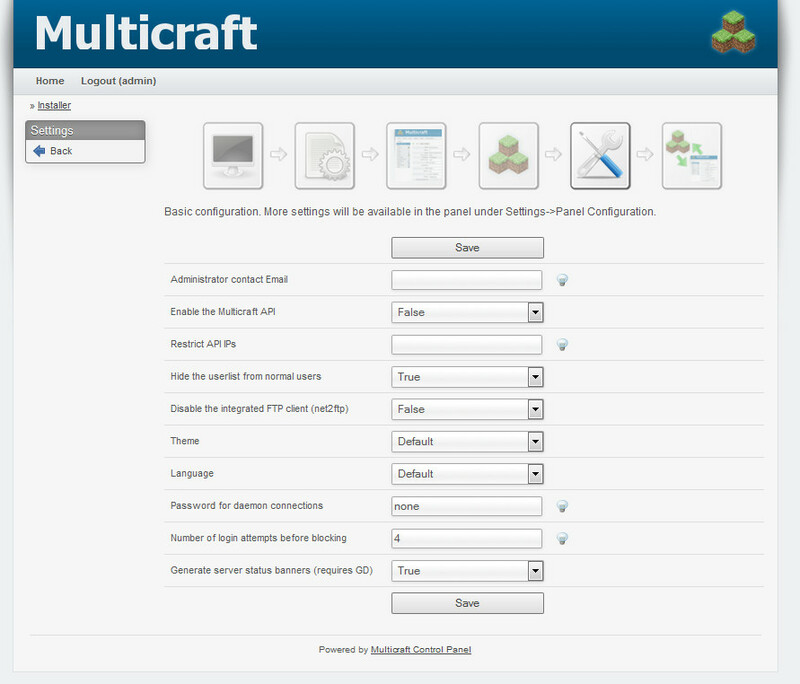 Your browser should open the Multicraft control panel installation page now. Application runtime path "/var/www/html/multicraft/protected/runtime" is not valid. Please make sure it is a directory writable by the Web server process. 1.) Edit the apache config (/etc/httpd/conf/httpd.conf) and change "AllowOverRide None" to "AllowOverride All" for the /var/www/html site directory. This will let the server read the .htaccess file in the Multicraft directories. Save the file then restart apache with "service httpd restart". 2.) 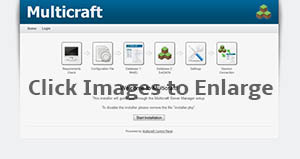 Set the /var/www/html/multicraft folder owner to the 'apache' user. Navigate to the directory with 'cd /var/www/html/multicraft' and run the following command: ' chown apache:apache -R * '. If you don't get any errors when opening the panel in your browser, we can continue with the installation process. Click the "Start Installation" button on the page to continue. Now we should get a page where the panel checks if a list of required packages are installed. Everything should be fine by default, php-gd might show as 'Warning', if so you can install php-gd by running the "yum install php-gd -y" command in SSH and restarting the web server. Press the Continue button to go to the next step. The next step should be for the panel to copy the configuration file and check if it is writeable. Press Continue to go to the next step. Now we'll get a page to initialize the sqlite database. Press the "Initialize Database" button. Once the database is initialized press the "Continue" button on the next page, we left out an image for this step since it's only one click. Now you should be on a page that's given you your defualt username and password, which is "admin" and "admin". Click the Login tab at the top of the page then enter the username 'admin' and password 'admin' and press the Login button. Once you login you'll be brought to another page which will connect to the panel database, everything should work properly so just press the "Continue" button again to go to the next step. Next you should be brought to a page to initialize the daemon database. Once the daemon database is initialized press the 'Continue' button on the next page. Now you'll be brought to a page to change some of the settings of the control panel. Update these to your liking. Once you press Save you'll be taken to the last installation page. Now we'll have to run the daemon start command that we were given when we ran the installer script in SSH. Once you run the command in SSH you should see the web page update with the daemon that you just started. Once you click the 'Refresh' button it will change to 'Continue'. Press Continue then you'll be brought to the final page that says "Congratulations! ", the installation is complete now! Make sure to delete the install.php script so nobody else can run the installation again. 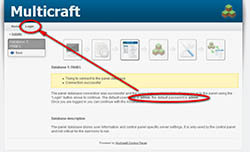 Go into SSH and navigate to your multicraft web directory with "cd /var/www/html/multicraft" and delete the install.php by running "rm -rf install.php"
You're done! 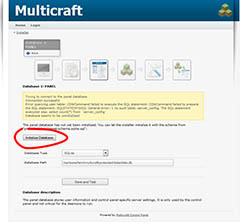 Now you can change your Multicraft admin password to something more secure and create Minecraft servers in Multicraft now. 1.) By default the daemon IP will be '127.0.0.1', this won't hurt anything, but you can change this to your servers IP address by editing the multicraft.conf file in the /home/minecraft/multicraft directory. This will show the external server IP instead of 127.0.0.1 as the daemon IP. 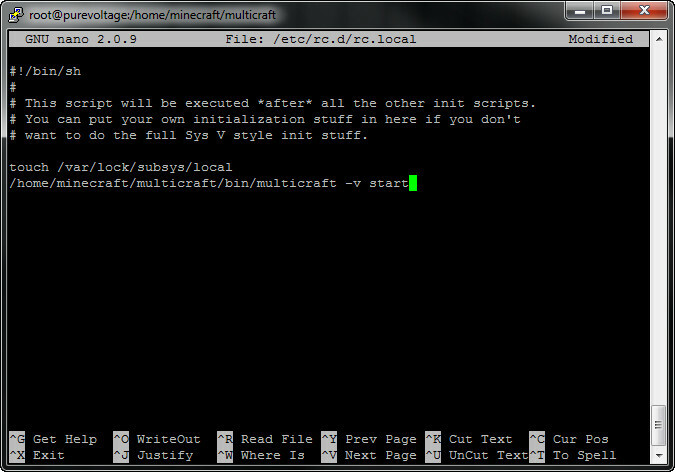 Make sure to restart the Multicraft daemon with the following command after any multicraft.conf changes: "/home/minecraft/multicraft/bin/multicraft -v restart". 2.) 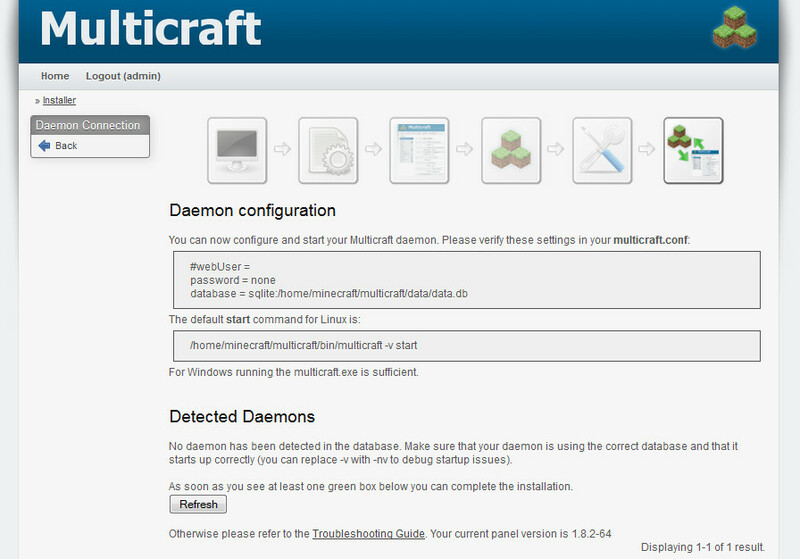 You can make the Multicraft daemon startup automatically if your server ever reboots. Edit the rc.local file with "nano /etc/rc.d/rc.local" and enter the daemon startup command in here (example screenshot) and save the file. The system will run any commands in this file at bootup. 3.) It may be good to disable SELinux, sometimes it can cause permission issues with folders with Multicraft. To disable SELinux (which we recommend) enter the "setenforce 0" command into SSH and reboot your server with "reboot -n".